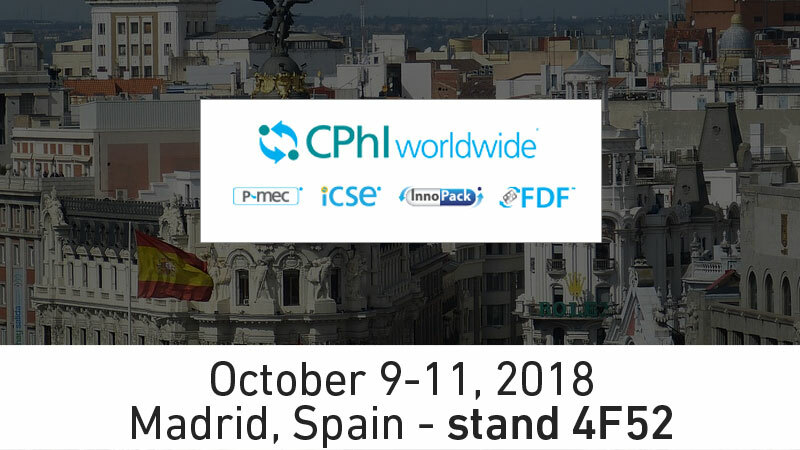 Comecer will participate in CPhI Worldwide and P-MEC, a major yearly event for pharma professionals that will take place on 9-11 October at IFEMA – Feria de Madrid, Spain. You will find us exhibiting at stand 4F52. Our team at the show includes Mario Bielsa, our Area Manager, and other product specialists. We look forward to talking with CPhI visitors about how we might be able to address your Primary Pharmaceutical processing, Fill Finishing, Process Automation, and Quality Assurance requirements.